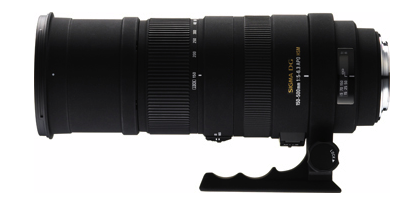 Sigma just announced the new Sigma 150-500mm f/5-6.3 for Sony. Price should be $990. Photozone re-tests the Zeiss 16-35mm f/2.8 on Fullframe! Few days ago we told you that Photozone just tested the lens on the Sony A700. Now they have re-done the review on the Sony A900. The big question is: Is the lens better on the fullframe camera or on the APS-C camera? Read both tests and you will find the answer! Currently the Zeiss ZA Vario-Sonnar T* 16-35mm f/2.8 SSM sells for $1,899.00 on amazon (click here) . In this days I am receiving many rumors from non trusted sources. I rarely post them because I don’t want to spam the website with tons of false rumors. I keep the new sources in mind and will post the rumors when I will get some more infos from trusted sources. Anyway the only fact that I receive so many messages may proove that something is going to happen soon! From trusted sources (which have been correct in the past) I know that mirrorless cameras and the A850 and A900 firmware will come in May. At the same time we also “suspect” Sony could release a new Alpha camera and the new 500mm and 24mm lenses. So May will be definitely an interesting month! (SR2) A1000, 7xx, 6xx and a 4xx model ? “Today I was at Mediamarkt (an European chain of stores) and checking the prices of a the Canon 550D and 580EX flash. I asked for some advice from a sales person, and he urged me not to buy the 550D and to wait a little bit longer. According to him Sony will introduce 4 new camera’s arround april/may. The A1000, in the 2999 euro price range, aimed at the professionals, a A7xx , a A6xx, and a A4xx model. According to him the Sony A6xx will have better specs than the Canon 550D. P.S. : What I heard from our sources that there will be new cameras in MAY. the mirrorless cameras and at leat one more Alpha camera. 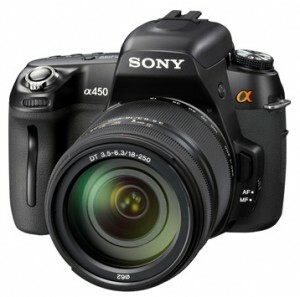 – Sony A500 -$50 price drop!